The final release continues as many home buyers lined up this morning to browse the remaining selection of homes at Aurora Trails. There is a wide range of home types available, including freehold towns, semis, and 38’ and 43’ singles. A few of the luxury features and finishes at Aurora Trails include 9’ ceilings, oak stairs, gas fireplaces, tray ceilings in the master-bedrooms, natural prefinished hardwood flooring, and upgraded furniture finish cabinetry in the spacious kitchens. 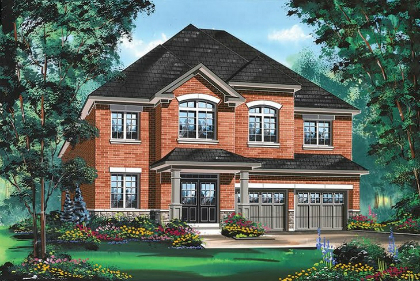 Located at St. John’s Sideroad and Leslie St., Aurora Trails offers the perfect balance between breathtaking natural surroundings and convenient neighbourhood amenities. Everything you could possibly need from schools to shops, grocery stores, banks, restaurants, and other services are within reach. Hundreds of families have already decided to call Aurora Trails home and this is the very last chance to be a part of the town’s incredible master-planned community. 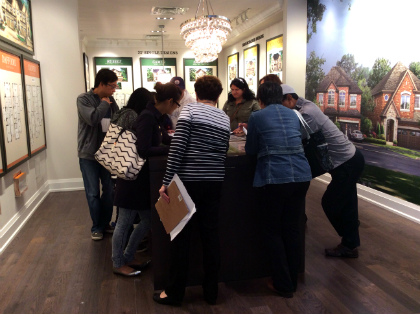 Visit our sales centre tonight before 6 pm or tomorrow morning at 11 am for the best selection of remaining homes! 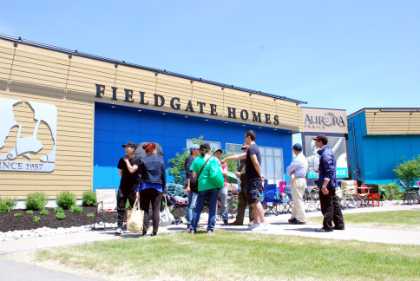 Fieldgate’s Aurora Trails sales centre is located at the corner of Wellington St. East and Mavrinac Blvd. We’re looking forward to seeing you this weekend!